As public safety officials leaf through their favorite criminal justice periodical they are greeted with pages and pages of analytics advertisements. These ads are laden with promises of robust and scalable solutions, improved efficiencies and, yes, the promise of prediction. “Let me get this straight – based on forecasts, we can implement responses to improve future outcomes? That’s even more exciting!” (And this too is accurate). These bullet points (though wrought with faux excitement and blatant overuse of exclamation points) parallel actual conversations. While the first two points have legitimate merit, the third bullet is the overpromise that should cause wariness. However, wariness should not impede a public safety leader’s strive for innovation – it should prepare you well to embrace or debunk the value, practicality and reality of the next great thing. I believe analytics is the next great thing for public safety – but it is certainly not an overnight panacea for all things ailing your agency or community. Implementing advanced or predictive analytics will reap benefits but will take work, time, understanding and above all else, data. When looking to assess or acquire the next great thing, talk to trusted, practical sources. Be skeptical and ask the tough questions that make your prospective solution provider think deeply, and maybe get a bit uncomfortable. Such an approach will help you separate the promise from overpromise. 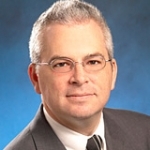 Vincent Talucci is a Senior Industry Consultant with SAS’ State and Local Government practice. He’s an expert in law enforcement and serves as the practice’s primary liaison to the police community. Prior to joining SAS, Vince was the Director of the State and Provincial Police Division of the International Association of Chiefs of Police (IACP). As Director he served on the IACP’s executive leadership team, represented the policy interests of the nation’s state police organizations and maintained oversight of IACP’s information sharing, homeland security and technology efforts. Before joining the IACP, he served as a program manager with the United States Department of Justice’s National Institute of Justice where his responsibilities included managing nationwide demonstration projects designed to advance innovative criminal justice practices and strategies. Vince holds a Bachelor of Arts from Rutgers University and a Master of Public Administration from the University of Washington. A Virginia transplant, he enjoys spending time with his wife, three kids and dog in their new North Carolina home.